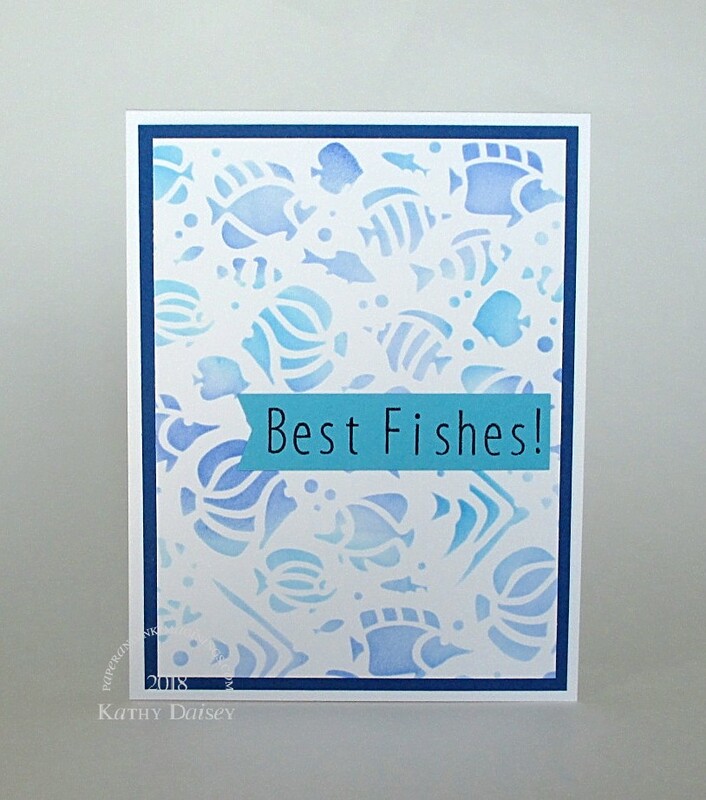 I blended Distress Inks over the tropical fish stencil for a quick background. 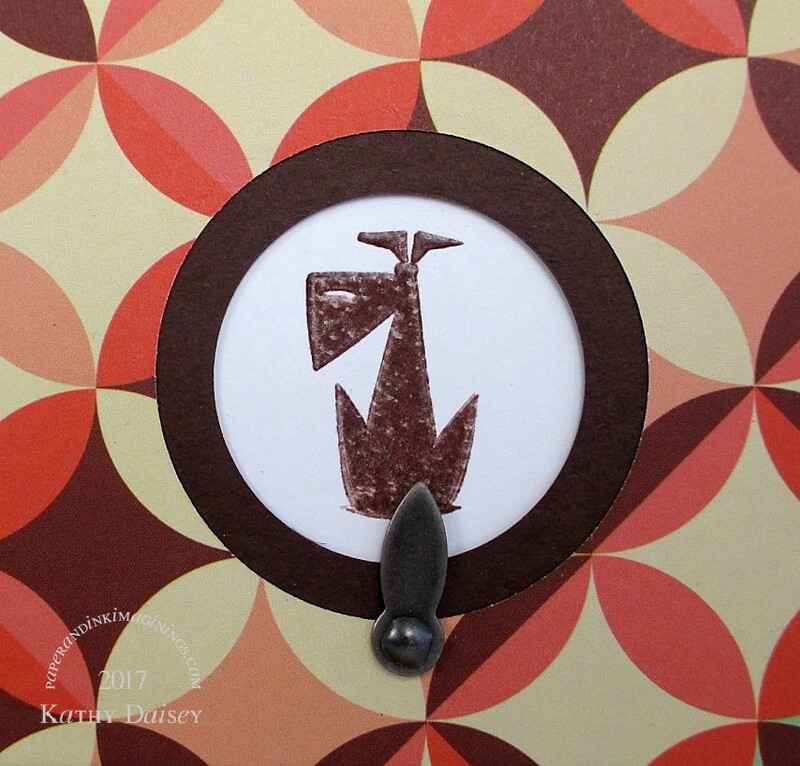 Supplies: Stamps – Just Rite, paper – Gmund Royal, Neenah Classic Crest Solar White, Stampin’ Up! Tempting Turquoise (retired), inks – Tim Holtz/Ranger Distress Ink Blueprint Sketch, Salty Ocean, Tumbled Glass, VersaFine Onyx Black, stencil – Newton’s Nook, embossing powder – Stampendous Detail clear. 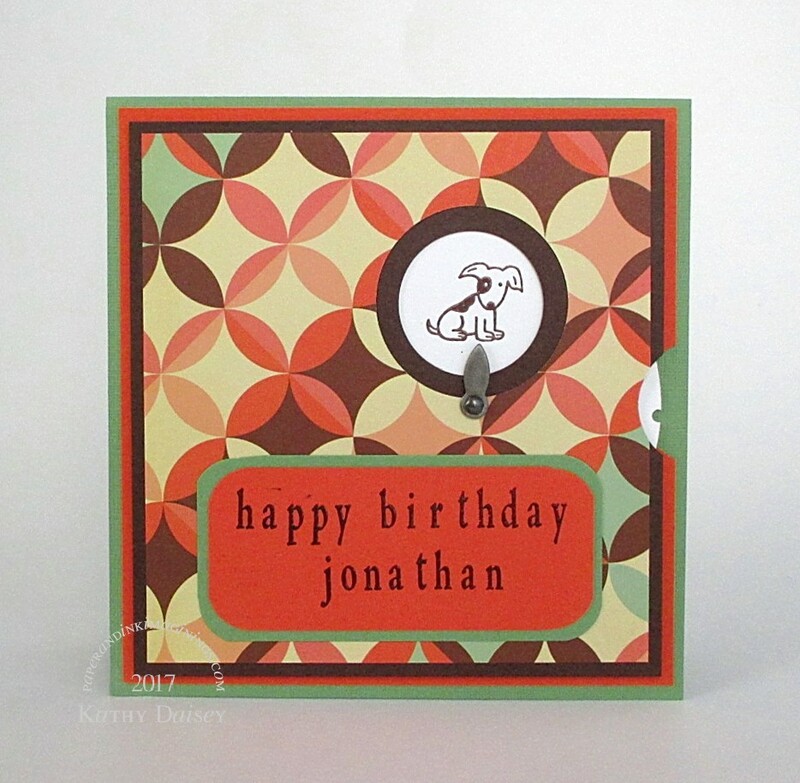 Categories: birthday, card, congratulations | Tags: card, Gmund, JustRite, Neenah, Newton's Nook, Ranger, Stampendous, Stampin' Up!, Tim Holtz, Tsukineko, VersaFine | Permalink. 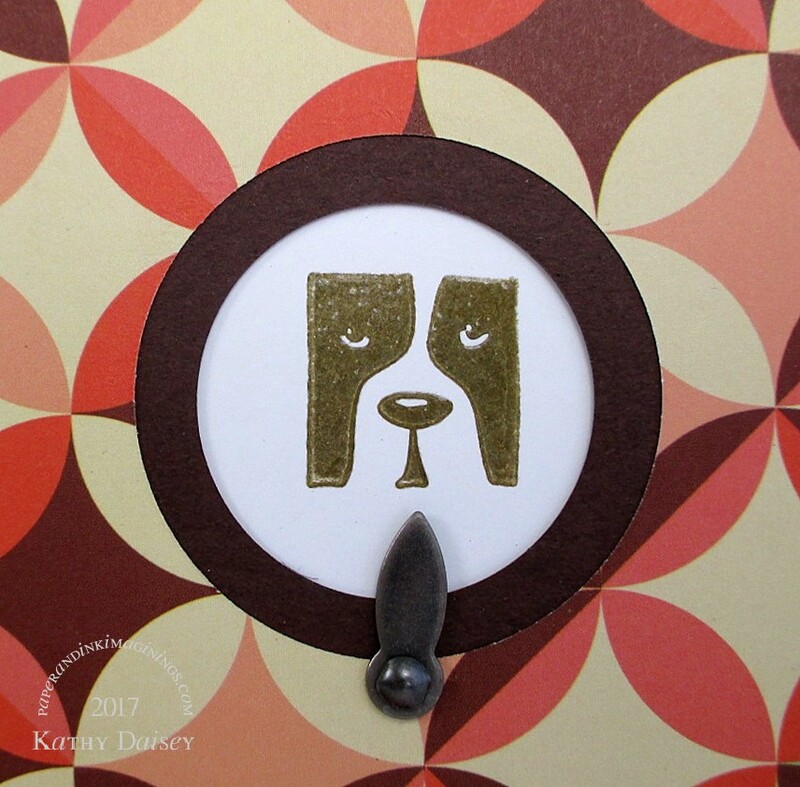 The last time I posted a card using this house stamp, I asked for suggestions on how else to color it (I seem to see it as a tan stucco house…ALL.THE.TIME.). Miss Hammie suggested that I try coloring it like the Painted Ladies in San Francisco. Great suggestion. I was prepping for vacation, never executed the idea. Fast forward to this weekend’s flooding in Historic Ellicott City. 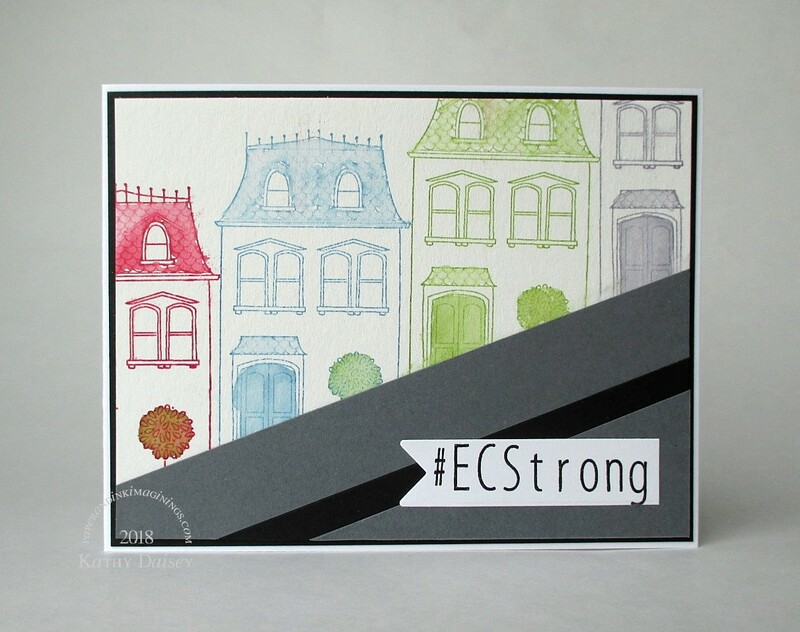 Offspring3 told me (on Messenger from Spain…) that I needed to get my house stamp out and create an Ellicott City card. I stamped the house on watercolor paper using different colors of dye ink, then used an aqua brush to move some of the color around. Supplies: Stamps – Hero Arts, JustRite, paper – Canson watercolor, Neenah Classic Crest Solar White, Stampin’ Up! 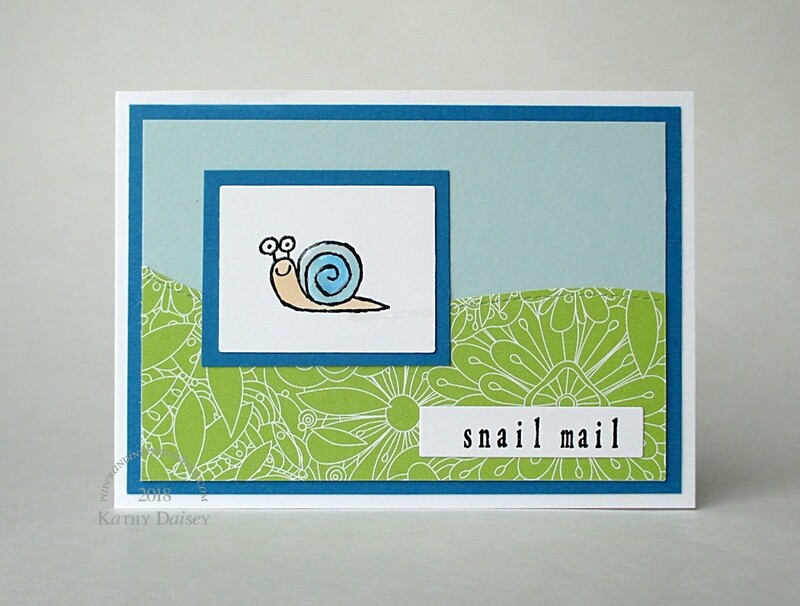 Basic Black, Basic Gray, inks – Stampin’ Up! Marina Mist, Pear Pizzazz, Red Riding Hood (retired), Wisteria Wonder, VersaFine Onyx Black, die – Taylored Expressions, embossing powder – Filigree Fine Art Powder clear. Categories: card, encouragement | Tags: Canson, card, Hero Arts, JustRite, Neenah, Stampin' Up!, Taylored Expressions, Tsukineko, VersaFine | Permalink. I colored the snail with Copic markers, and added Glossy Accents to the shell (and a little bit of a slime trail). My inner Star Wars geek has a message for you: May the 4th be with you! Supplies: Stamps – JustRite, Stampin’ Up!, paper – My Favorite Things Bundles of Blossoms, Neenah Classic Crest Solar White, Stampin’ Up! Pacific Point, Soft Sky, inks – Copic B0000, B00, B02, E51, VersaFine Onyx Black, dies – Spellbinders, embossing powder – Filigree Fine Art Powder clear. Categories: card, caring, encouragement, hello, note, thinking of you | Tags: card, Copics, JustRite, My Favorite Things, Neenah, Spellbinders, Stampin' Up!, Tsukineko, VersaFine | Permalink. I had a family request for a card suitable for a Boy Scout achieving Eagle Scout status. Supplies: Stamps – JustRite, Papertrey Ink, paper – Blue Stars – source unknown, Curious Metallics – Gold Leaf (note: this is pretty much identical to the old Stampin’ Up! Brushed Gold), Neenah Classic Crest Solar White, Stampin’ Up! Real Red, inks – Hero Arts Unicorn, VersaFine Onyx Black, dies – Lawn Fawn (stitched rectangle), Spellbinders (star), Taylored Expressions (banner), embossing folder – Provo Craft, embossing powders – Filigree Fine Art Powder white, Ranger clear. 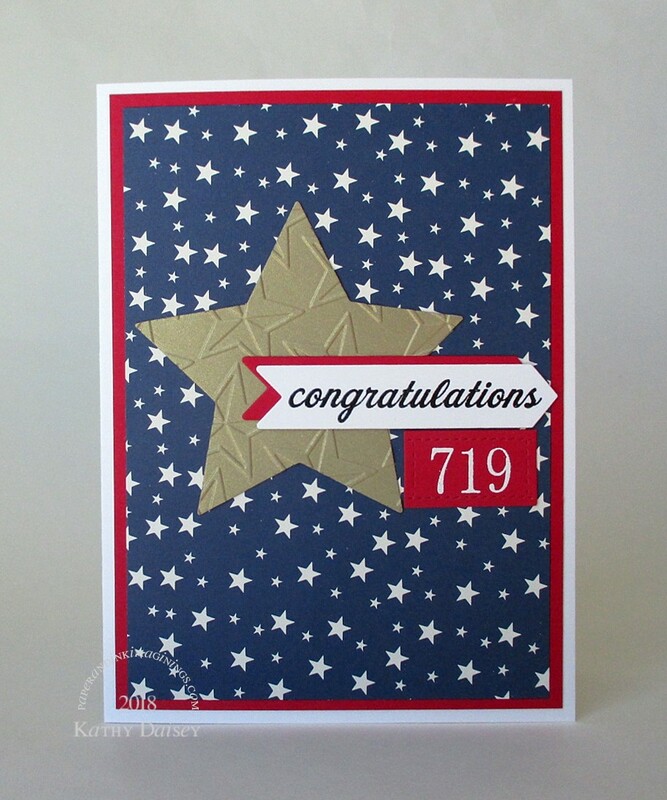 Categories: card, congratulations | Tags: card, Hero Arts, JustRite, Lawn Fawn, Neenah, Papertrey Ink, Provo Craft, Ranger, Spellbinders, Stampin' Up!, Tsukineko, VersaFine | Permalink. 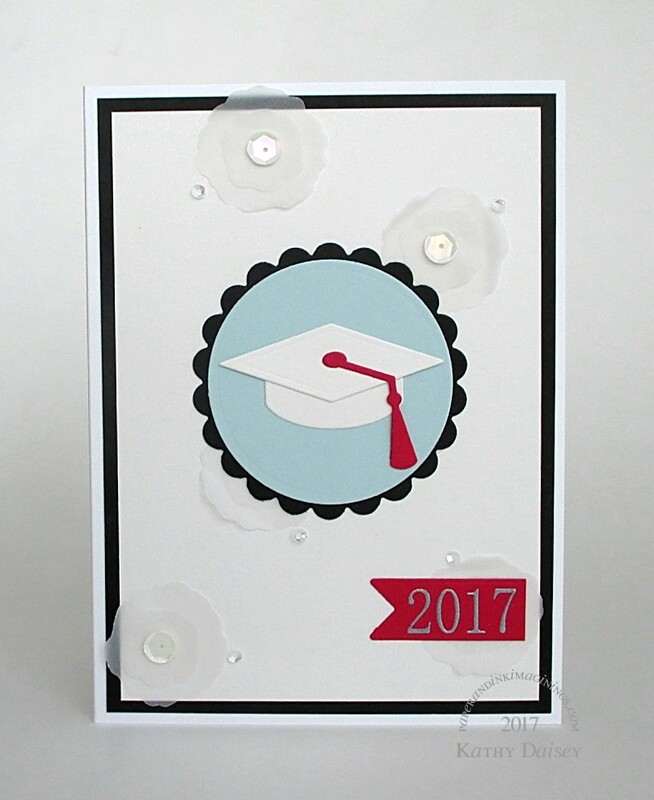 This card is for the daughter of a dear friend, who has graduated from high school within the last few days. The applique flowers are a nod to the young lady’s senior prom dress. Supplies: Stamps – JustRite, paper – Neenah Classic Crest Solar White, Stampin’ Up! 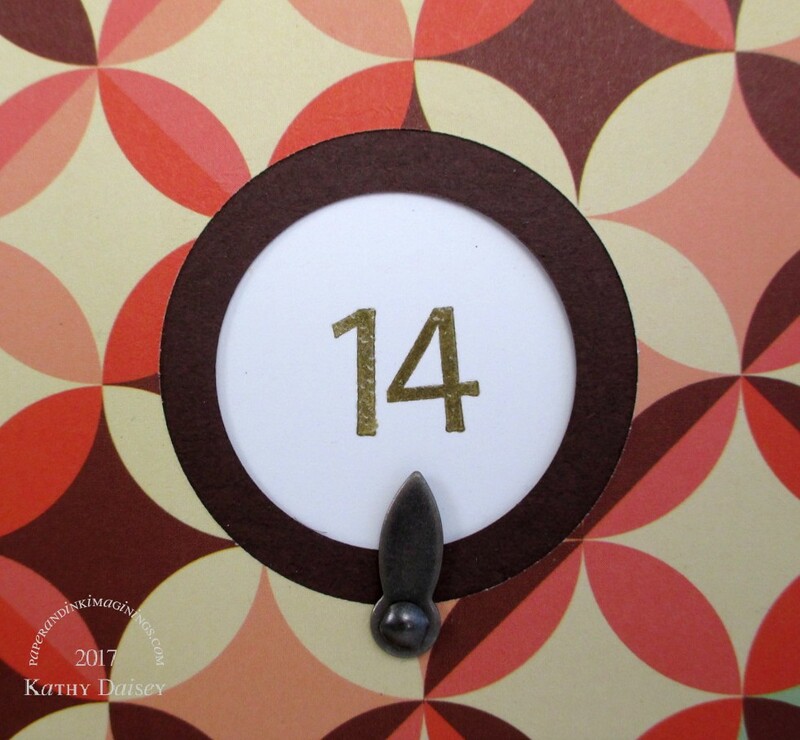 Basic Black, Real Red, Shimmery White, Soft Sky, Vellum, ink – VersaFine Onyx Black, dies – Essentials by Ellen (flowers), Spellbinders (circles), Taylored Expressions (banner, graduation cap), sequins – Lawn Fawn, Pretty Pink Posh, embossing powder – Ranger Silver Pearl. Categories: card, congratulations, graduation | Tags: card, Essentials by Ellen, JustRite, Lawn Fawn, Neenah, Pretty Pink Posh, Ranger, Spellbinders, Stampin' Up!, Taylored Expressions, Tsukineko, VersaFine | Permalink.